PatchBot will keep your Discord channel up-to-date on all the latest Sea of Thieves changes. 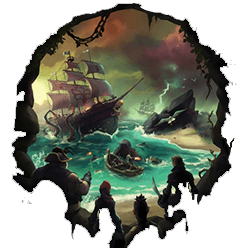 Good news for Pirates who enjoy adventures, encounters or both! This build introduces an all-new Mercenary Voyage type, the Reaper's Run, perfect for those who thrive in the heat of combat. Looking for something a little less stabby? No problem. This build also brings two Mercenary Voyages that take place outside of the action-filled hotspot so you can adventure at your own pace. It’s time for another update. This one brings your maiden Mercenary Voyage, seeking the treasure and tipple of the Rum Runner! That’s not all, there’s a trove of performance improvements and bug fixes so you can enjoy some smooth sailing.